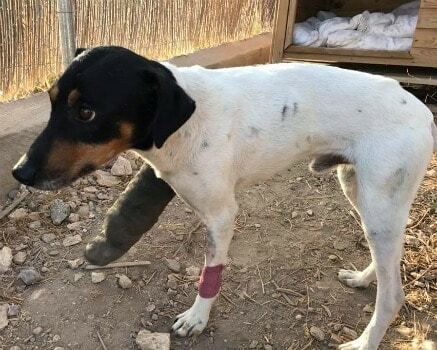 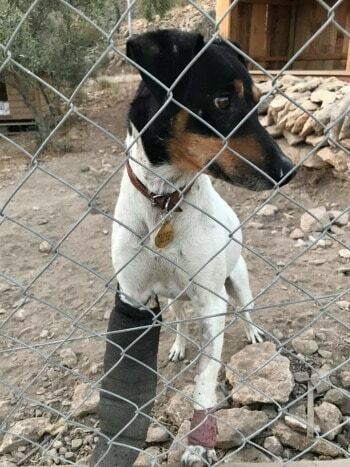 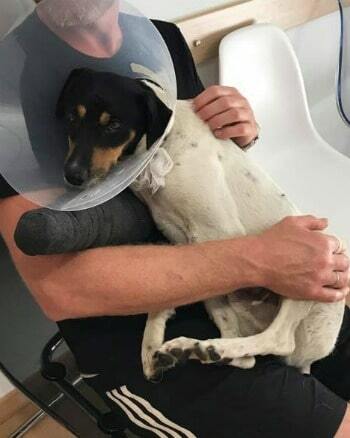 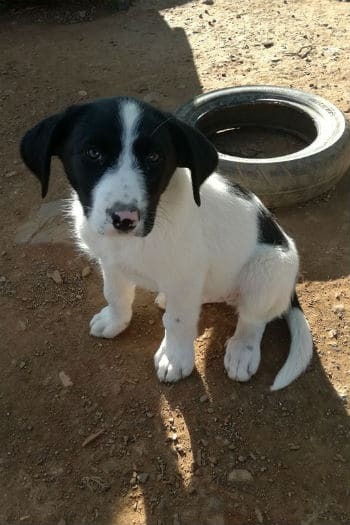 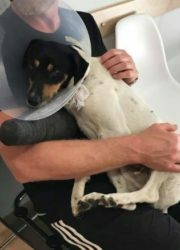 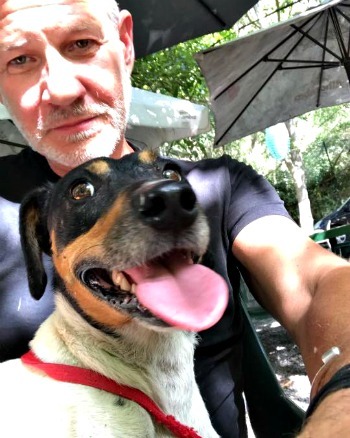 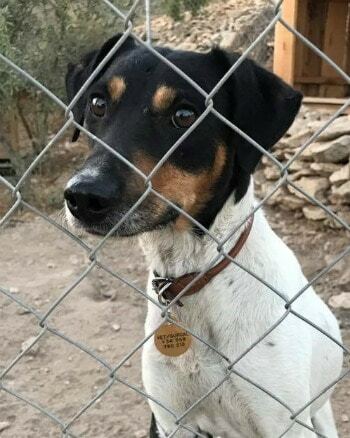 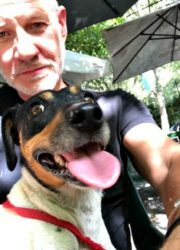 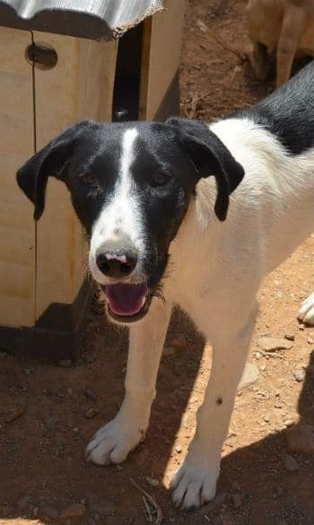 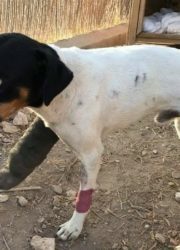 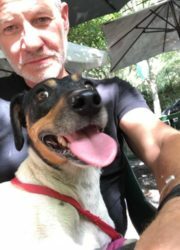 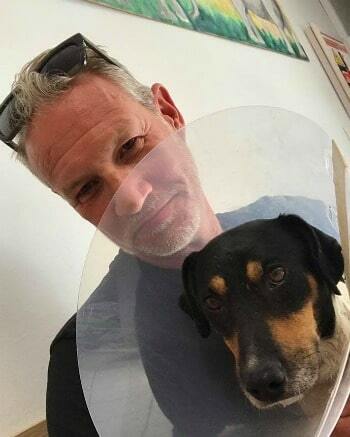 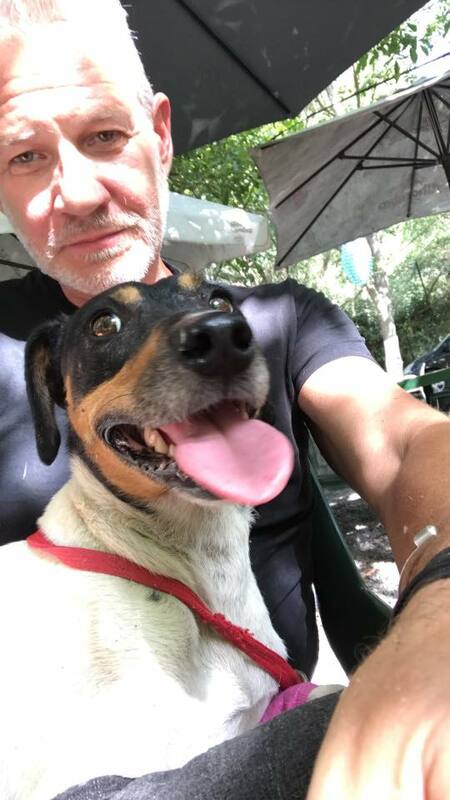 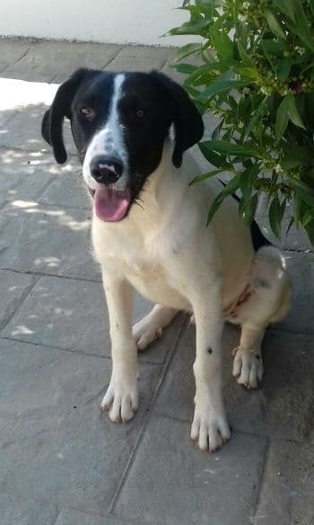 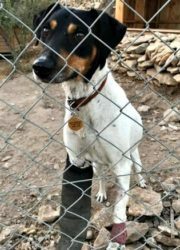 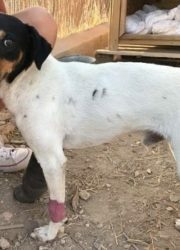 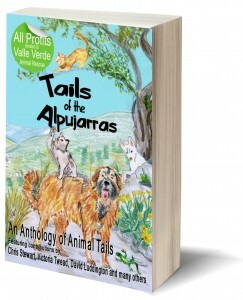 “We were driving back from Padul and out of nowhere a little black and white dog comes bouncing on his back down the central reservation, having been hit by a car .. we assume he’d been thrown out of another car .. he wasn’t dead, but he was badly hurt!!! 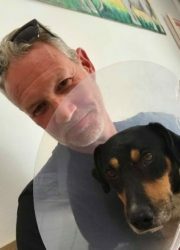 He’s just come out of Hospital!!! 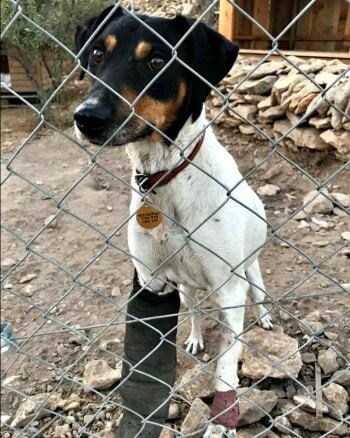 He’s not chipped and wasn’t wearing a tag! 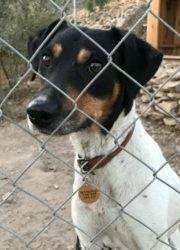 He needs a home, a good one. 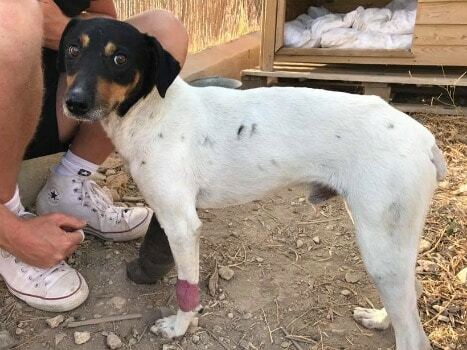 He’s thin and scared .. but we will do our best until he finds someone to love him.